We’ve all felt the pressure of daily tasks that need to get done and know how it is when one or more of those tasks are not completed on time or in the fashion we quite wanted. As the work week progresses, we feel more and more pressure to get a project completed or to at least make a deadline in a project. This creates for us an environment of stress that we dread walking into on Monday and love to leave on Friday. Thus we end up with these two phrases: THANK GOD IT’S FRIDAY! and OH GOD IT’S MONDAY (sad face here ). While we laugh and joke about this each week that rolls around, the simple truth is we need a better way of performing our tasks. Data Systems has just completed work on our Graphical Payroll Update along with our Time and Attendance System. These two programs work independently as well as in harmony to give you a better way to manage your tasks. Let’s begin with our Graphical Payroll. For starters, our graphical solution offers a dashboard that allows you the convenience of notifications of recent changes to the system. Payroll Security , drop down windows, multiple new reports, column sorting are all a part of the new graphical payroll update. There are many more options that are not listed here that affect the way your day to day operations are handled. Items like the ability to print/re-print W-2 for a single employee, or re-print employee check information as well as displaying all Demand Reports in a PDF format for reviewing, printing, or downloading. If you are interested in a demo of this application, please contact Data Systems Management at 601-925-6270. When your payroll is upgraded with our new graphical solution, your days will be easier as all your needs are technically just a click away. Your new catch phrase will be TGIM – Thank Goodness It’s Monday! You may still use TGIF, but at least payroll wont be the reason why. In my next post I will discuss the Time and Attendance Application available to you through Data Systems Management. 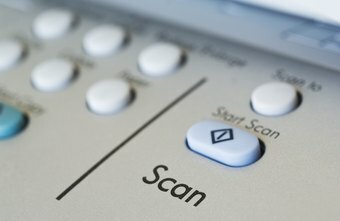 By using the Scanning option with Data Systems Management, your scanned records can be searched just like using the internet. This scanning application is so easy to use you can even utilize interns, or young people looking for part time work. Beginning a New Year is always a challenge. There are always the hopes that this year will be the best year and this is the year I will be organized for more than 20 minutes. We are not even going to talk about exercising and eating right now are we? With that said, I would like to offer to you something that you NEVER think of at the first of the year – unless you’re working on a new budget. Payroll. Just the mention of the word can bring up fear in us. Was it figured correctly? Did they take out the right amount of taxes? Was too much taxes taken out? Can I get out of paying taxes? LOL – OK I threw that last one in for giggles. It would be nice though right? Data Systems Management is working feverishly toward completing the new payroll we spoke to you about back at our December Seminar. We are on track to complete this application around the end of the first quarter of 2016! I can hear the excitement as I type this post. I have listened to our clients clamor for a pint and click system for years and now we are making tracks in that direction. I will be visiting with each of you over the next few weeks in an effort to gather your thoughts and see if we have clearly understood your wishes. I look forward to seeing each of you very soon and I look forward to gathering your thoughts on this very important piece of software! By now you’ve seen or heard about the 2016 Payroll Challenge that lies just ahead. Just in case, DSM hosted a seminar on December 2, 2015 from 9:00AM to 12:00 noon. If you missed that, we have a one on one mini seminar recap available for you. At Data Systems Management we are continually striving to move forward with technology so our clients have better options to choose from. Data Systems Management has provided for our clients the ability to utilize our software in filling out their 1094 and 1095 forms for the IRS. If you missed the seminar on December 2, 2015, please send an email to awalker@datasysmgt.com and you will be scheduled for a mini seminar recap. This should only take about an hour of your time. November will prove to be a busy month for most of our clients. With the calendar year coming to a close, the time changing and the implementation of new systems beginning in January, the pressure mounts to ensure that each client has the most up to date information and the information they will need in order to carry them through this critical transition time. With that being said, this is exactly why Data Systems Management will be in attendance at the Chancery Clerk Fall Conference. There are changes on the horizon that will affect many of us and Data Systems wants to be sure you are aware of the changes and have the tools at your disposal in order to move forward with little to no extra effort. Stay tuned for more information and be sure to get with a DSM representative during the Chancery Conference in a couple of weeks. Currently, DSM is in agreement to let our distributor handle the updates on your software and hardware maintenance agreements. We feel this is a better service to our clients due to the fact that it essentially takes one more person out of the loop – so to speak. With that said and with the fact that budgets are getting close to being done for the 2013 year, please take a look at your maintenance schedules on your servers and see if your maintenance will need to be renewed before budgets are set. There is still time to get a budgetary quote in before the final budget is set in stone! If you are unsure who to contact regarding the attainment of that budgetary quote, please contact Annette Walker with Data Systems Management at awalker@datasysmgt.com.